Sandfire Resources NL (ASX: SFR; “Sandfire”) is pleased to announce the award of the haulage and port services contract for its DeGrussa Copper-Gold Project, located 900km north of Perth in Western Australia, to POAGS Bulk Logistics Pty Ltd (POAGS), a wholly-owned subsidiary of Qube Logistics Holdings Ltd (ASX: QUB) (Qube). 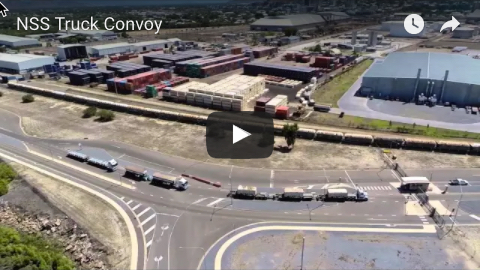 Qube is a diversified infrastructure and logistics company with operating divisions covering Automotive, Bulk and General Stevedoring, Landside Logistics and Strategic Development Assets that employs over 3,700 people nationally. 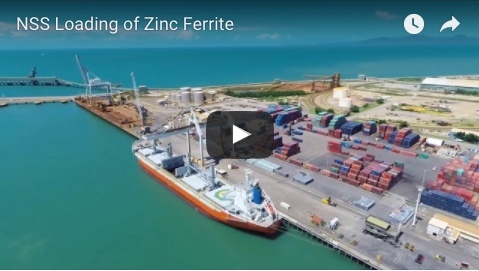 The contract, which has a total estimated value of more than $120 million over a five-year term, encompasses provision of a fully integrated haulage and port services solution for both the Direct Shipping Ore (DSO) and copper concentrate to be produced by the DeGrussa Project. Qube’s recent acquisition of Giacci was influential in Sandfire’s decision to award the contract to Qube as an integrated provider, rather than award separate haulage and stevedoring contracts. The DSO and concentrate will be trucked to port in purpose built half-height sea containers, which will enable ship-loading using POAGS’ Rotabox container rotating frame system. NSS provide the innovative Rotabox container system across Regional Queensland due to the available synergies under Qube’s 50% ownership of the firm.